When it’s time to retire, you enter into a “realm of the unknown.” You won’t have a job, you’ll likely collect Social Security, and hopefully you’ll have a plan. With all that comes some natural concerns. For example, without a job you’ll have more free time, and you may be concerned with how you’re going to spend it. Then comes the more crucial concerns like medical insurance, your health, and overall lifestyle. One common element between these is money, or more specifically, your retirement savings. According to the American Institute of CPAs (AICPA), running out of retirement savings is a top concern among retirees. 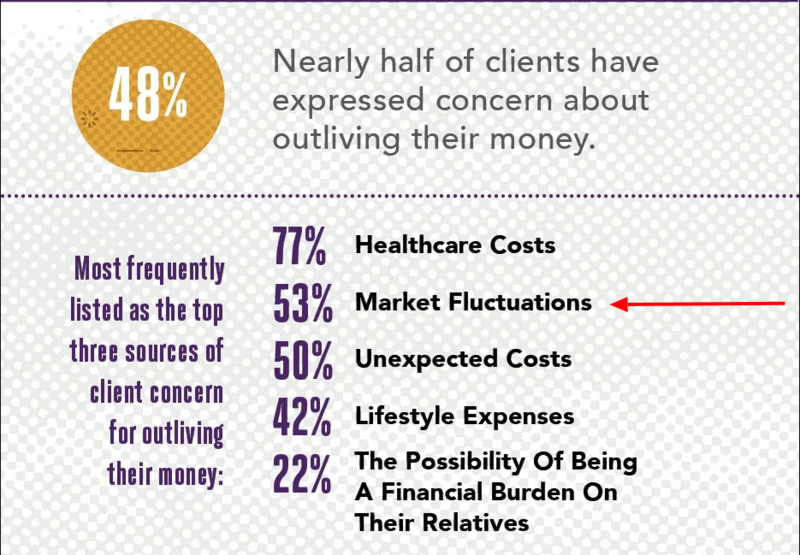 Healthcare costs and maintaining lifestyle are the other two in the top three. Let’s imagine you expect to need $60,000 a year in retirement to live comfortably, and that $24,000 of that will come from Social Security. That means your savings will need to provide $36,000 a year of income, assuming your nest egg is your only other income source. If you multiply $36,000 by 25 as per the 4% rule, you’ll arrive at a savings target of $900,000. If that’s what your IRA or 401(k) looks like as retirement approaches, you’re in good shape. If not, you’ll need to make some adjustments to ensure that you don’t end up running out of income later in life. Of course this idea isn’t perfect (none are). It’s one starting point (of many) from which to examine your savings situation. If your retirement situation looks dire, you’re not alone. The “big 3” — pensions, savings, and Social Security — are all under stress, resulting in a degree of uncertainty for everyone. The same Motley Fool article offered two suggestions to think about: retire closer to maximum age for Social Security or minimize your expenses as much as possible. 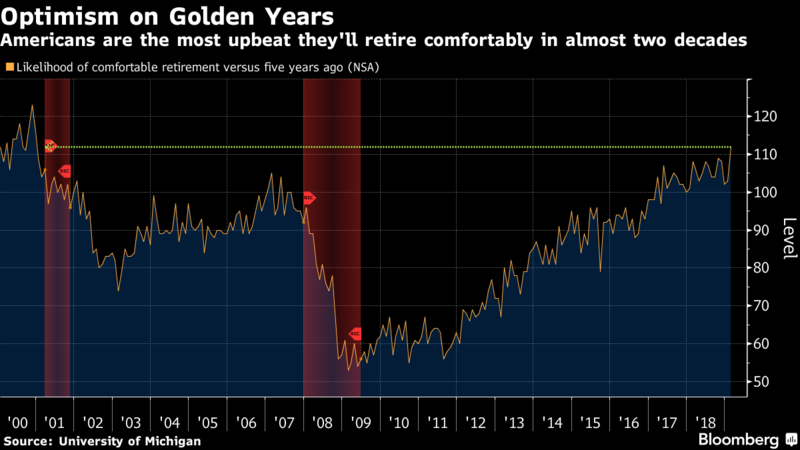 The funny thing is, despite uncertainty and concerns surrounding retirement savings, according to a recent Bloomberg piece, “Americans are most upbeat” they will retire comfortably. A chart in that piece may signal a need to reconsider that optimism, however. At the University of Michigan, an index was developed that measures whether people foresee a comfortable retirement now versus five years ago. As you can see in the chart, just before each major recession, retiree optimism peaked. If optimism is peaking again, could we be heading toward another major recession? We don’t know if one is right around the corner, but if it happens, this optimism may be misplaced. After all, the “optimism” in the chart bottoms out right after each of the two major recessions (among other reasons). If that is the case, perhaps the idea that markets are uncertain should play a role in retirement planning. It’s important to start saving for retirement, if you haven’t already. And it’s crucial that you put together a realistic retirement plan around those savings. 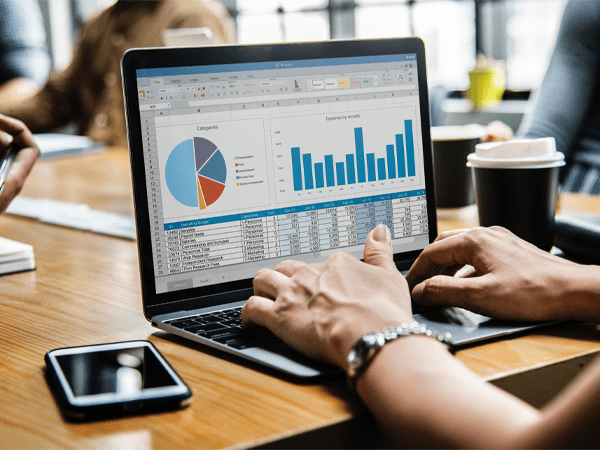 Diversifying your assets is a strategic retirement plan, and you should consider diversification by looking at all markets, and examining all commodities. Don’t only pay attention to mainstream media. Instead, develop trustworthy alternatives, such as physical gold and silver. Your “golden years” can only be golden if you retire with enough security that you aren’t worrying where your next meal is coming from. Don’t let optimism prevent you from making a secured retirement plan.